Charlie Chan and Simpsons signals. Trey chanted "a slice of pizza!" and "a bucket of lard!" The final chorus was sung as "I'm sharing in a bucket of lard." 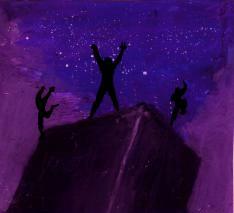 Phish debut; Dude of Life on vocals. Divided Sky contained a tease of Dixie. 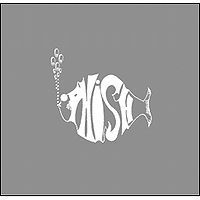 Self through Crimes of the Mind (including the Phish debuts of T.V. Show and Family Picture) featured The Dude of Life. Paul and Silas was dedicated to “Jason” on his birthday. Weekapaug included Charlie Chan and Simpsons signals and an adventurous, off-center jam segment culminating with Trey chanting “a slice of pizza!” and “a bucket of lard!” The final chorus was even sung as “I’m sharing in a bucket of lard.” During the soundcheck, The Dude of Life joined the band for Family Picture, T.V. Show, and Crimes of the Mind, and Camel Walk contained a Stash tease from Trey. This show was not at the College Station Theater; that show was on March 8, 1991. Wow! This show is really strong and a joy to listen to! 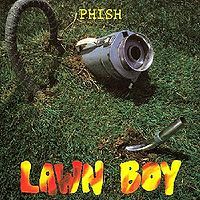 I wrote just yesterday that Amy's Farm was the best Phish I have heard from 1991. This show gives that statement a serious run for its money; they were on-point. The playing is really tight all night long, the Nak 100 source off the spreadsheet sounds fantastic, and the setlist is just spectacular. I'm not a fluffer of pre-'94 Phish, but the Divided Sky and Jesus Just Left Chicago are as good as any you'll find. The jams in each are really strong. They don't sound like they're from 1991. Stash, Split, and Weekapaug are *very* solid as well; Trey tears Weakapaug apart. The four Dude Of Life songs to close set two flow nicely within the set and are, in my opinion, very enjoyable. The rest of the show is a well executed showcase of strong material from the era. This is a 5 star show if I've ever heard one. Somewhat surprised to see that a show with the relative rarity of a Dude appearance--and not a small one at that, AND in a seemingly random locale of T-loosa--has no reviews. It seems like Trey and Fish at least got extra caffeinated at several points throughout the first set. The Tube, in only its second opening slot, is hot to trot out of the gates with a stepped up tempo from Fish. 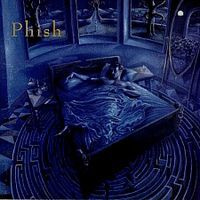 The Guelah sees Trey "singing" one of the last choruses in a very herky-jerky fashion, putting his syllablic stresses all around the original phrasing without ever really falling out of it. You'll have to listen yourselves to really hear what I'm talking about. Trey also is very peppy during Brother, almost frantically/obsessively rattling off family members and their relative proximity to the featured tub. The set is overall very-well paced, and hits a lot of great spots, like the Tube opener, a birthday-dedicated Paul and Silas, and a solidly energetic Divided anchoring the middle of the set. They definitely build on the energy of the first set by tearing right into Sloth, impactful and hard-hitting, to open the second. Sparkle is barely a month old and undeniably fits nicely with the high-energy feel of the show so far. 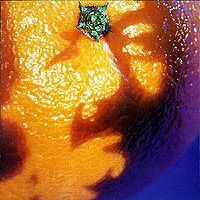 I've read that they didn't really find their groove in Melt until spring of '93 or thereabouts (something about that Hoist 4/21/93 version, right?). Shame they were so hard on themselves because I think this is a damn fine Melt with an ending that I enjoyed most for Fish's contribution. But then, I'm not a musician, just an ardent lover of music. 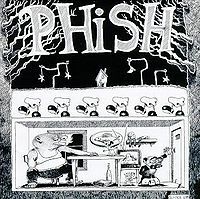 The Mike's Groove is solid, with special proto-jam nod to the Weekapaug, definitely a slightly more compressed prelude to some of the epic versions of the mid-to-late '90s, though of course the vocal stylings are more home in this early '90s Phish. I repeat: vocals silly, but music is pretty incredible. Sharing in the lard, hilarious. Almost type II Weekapaug jam in '91? Priceless. After an able bodied Jesus, a small ambient rock build up serves as intro music for a mini Dude o Life set. I'd remarked about my surprise of no reviews of this show with a Dude appearance, but upon listening to it, I remembered that no review doesn't mean mine would be a terribly positive one. Two slightly better tunes bookended two others that are hard to imagine listening to a second time (much like my purchase of the Dude album). And it's mostly the music that makes the other two any good. Self is of course the modified Chalkdust, and Crimes isn't a bad Sample meets I Saw It Again rocker. In fact, I'm almost surprised this song didn't at least make a stab at being in the Phish repertoire. The Fee encore is notable mostly for the blood curdling screams of girlish joy at getting Fee for an encore coming form the crowd. Suzy comes in crisply and tartly to cap off an evening of seemingly unexplained piss and vinegar from the band (not to mention the randomness of the Dude in Alabama... right? ).